Artur worked with our Routes to Roots team. They support homeless patients in our local hospital - The Royal London. This is Artur's story in his own words. While in hospital I realised I couldn’t go back to where I was before the accident. I had become a homeless person. The first time I met Paulina was at the Royal London Hospital. 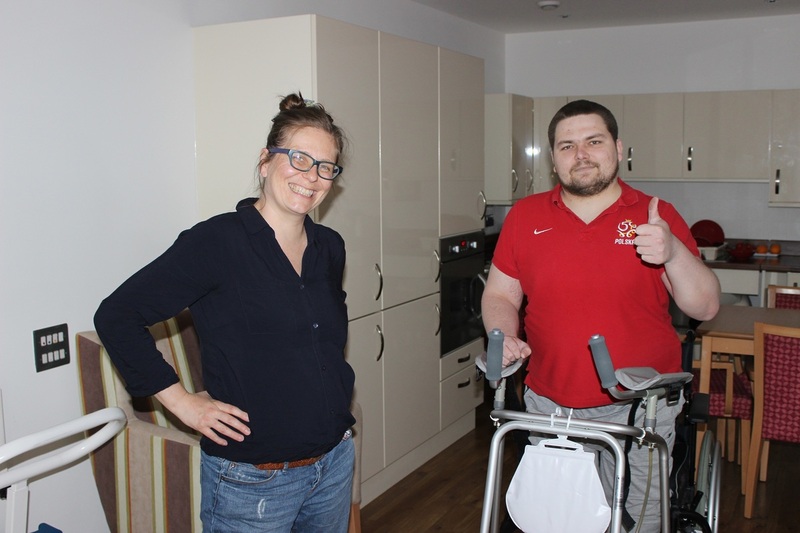 Together we started a process of applying for benefits and finding supported accommodation. I’m finding a new normality. I am really in a positive place. I can walk a little and exercise with my walking frame a few time a day. I can now get up with my frame without help! My advice to people in a similar situation would be to never give up! You need patience. Try to do something to make your situation better. Cooperate with others, because if it wasn’t for Providence Row’s Routes to Roots service support I would be in a worse situation. I would probably be in one small room, without much space. I would be not able to do my exercises and have little opportunity to go outside. Here I can leave the building on my own at any time! Actually I’m planning now to go out this afternoon to do a bit of shopping. By myself. My dream now is to be able to get myself up from my bed and go to bed myself; not to have money, but to be able to function 100% independently in the future. And I know I will do it! I do not know, when. I know I will have to wait a little bit longer. But with a bit of effort and some pain I will do it. I would love to go back to work again. It will take some time, but I am on the right path to achieve that. What does not kill you makes you stronger. Need our help? Find out how you can access our homelessness services in East London.